There is a ton of love for the Shaq era Orlando Magic uniforms, and any throwback uniform the Magic wear will be from that era. Even their current identity is inspired by those uniforms. On the other hand, the T-Mac era uniforms seem to be totally forgotten. Which basically means that they will probably never wear a throwback version of them, which is so unfortunate. What other uniforms are in this situation? This may prompt some disagreement, but I think the late-90s New England Patriots are in this category. The uniform was modern, yet the colors were balanced really well. Yes, the enormous Flying Elvis on the shoulders was very 90s, but despite that, the uniforms weren't garish or overdesigned. 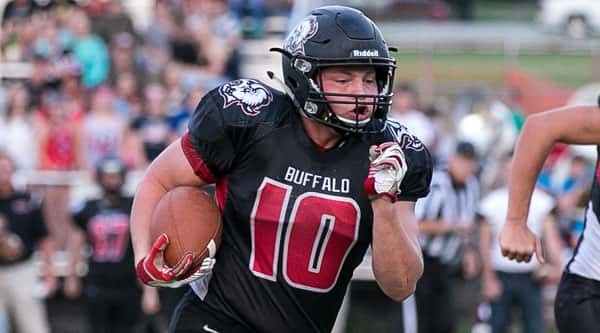 And the sublimated vertical stripes on the jersey were a great touch that, to my knowledge, hasn't been repeated in any other football uniform. That said, the Patriots started a dynasty pretty much immediately after changing from these to their current uniform, and it's hard to do a throwback to royal blue when your current uniform uses navy blue. Plus, the Patriots already have a beloved throwback with the Pat Patriot-era uniform. They could actually wear these with the helmet rule though, unlike the Pat Patriot set. 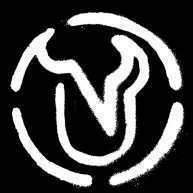 That logo looks inspired by the Sabres old logo to say the least. In a sense, if a uniform is "classic" it's probably not going to be forgotten. So my interpretation is more "classically-inspired" designs; uniforms that looked like sturdy traditional uniforms but never really gained much traction for various reasons. Two "classic designs" I really liked in the 1990s were the Brewers "Germanic" look after they replaced the "MB" hat with the "M" hat and the Angels final "California" look before they went Disney. Neither of those uniforms lasted long, saw much success, or are remember well by their own fan-bases, so what I mean is that these are more "classically-inspired" designs. But few really remember these uniforms at all. You could maybe say the same thing about the late 1980s White Sox with the "C" hat. It was a traditional design that replaced a very "out there" design. But it really did not fit the White Sox. And because it was a classic design sandwiched between a uniform memorable for its, uh, uniqueness and what became a classic in a more accurate sense of the word, it's forgotten. To me this is more prevalent in baseball than other sports because things like pinstripes and piping go a long way toward looking traditional. But I tried to think of one in basketball, hockey, and football. Oddly, I think that the same fate (i.e., to be "forgotten") will come of the very basic second-Lebron-era Cavs. Lebron played in three finals in that era but because of the plethora of jerseys he wore and the over-use of alternates (including winning the titles in those ridiculous black sleeved jerseys) the primaries (a very classically-inspired design) will probably be largely forgotten and our memories of Lebron in Cleveland will be uniforms from his first stint. In hockey, maybe the 1980s Flyers uniforms with the wider stripes going down the sleeves (post cooperalls). Given that these followed the 1970s uniforms and now the 1970s uniforms are essentially back, those uniforms are probably fairly forgotten. In football...I really can't think of anything. I've never really appreciated that set until I saw your post, but even with the giant logos on the shoulders, it's a great looking uniform. A lot better than their current look. @OnWis97 nailed it. Late 80's White Sox came to mind for me. 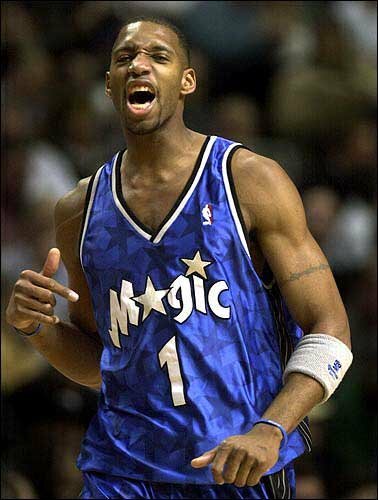 Wow it's hard to believe that T-Mac era uniforms is forgotten... At least in my country it may be the most popular Magic uniforms(maybe because of T-Mac). And some jersey collectors seem to be love that so much because of the shiny fabric. 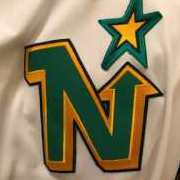 Also wonder if it's reasonable to define a uniform forgotten or not by whether they have worn the throwback version... If I am not mistaken, the Piston have not worn the Bad boys era classic, the Kings also haven't worn the Webber era uniforms (except the two tone one). If base on whether the throwback version will be worn, IMO "a whole different identity from their franchise history" uniform will fall into this situation? Such as 90s Warriors and Iverson era Sixers. I can't count these because of the logos on the shoulders. The rest of the set is fantastic, but the logos kill it for me. Two "classic designs" I really liked in the 1990s were the Brewers "Germanic" look after they replaced the "MB" hat with the "M" hat and the Angels final "California" look before they went Disney. Neither of those uniforms lasted long, saw much success, or are remember well by their own fan-bases, so what I mean is that these are more "classically-inspired" designs. But few really remember these uniforms at all. The Angels are a perfect example, in my opinion. I'll add the 1971 Brewers and 1970 Indians for my own contributions. Both are great looking uniforms but only managed to last one year. In fact, the Indians' set was in the middle of a run where the team wore substantially different uniforms every year for five consecutive years (1969-1973)(or seven years if you want to count alts added in 1974 and 1975). That Indians jersey, minus Wahoo but in gray would be a great road alt. I never saw that Indians uniform before - not too bad. I like the numbers on the back, but I think the front would be better with a more blockish font. It inspired me to go to D2t9s and check out more of their uniform history. I didn't realize that they had so much history in red caps - almost makes the current one make sense, though I'll fist fight anyone that thinks the solid navy C looks good on it. So many great players wore those uniforms, and they're all over the arena in various forms, whether it be display cases, portraits, (up until this year) retired number banners, etc. These are the uniforms the Penguins wore right before they switched to black and yellow. They follow pretty much the same template they wear now, except in double blue. They were only worn from 1977-1980. 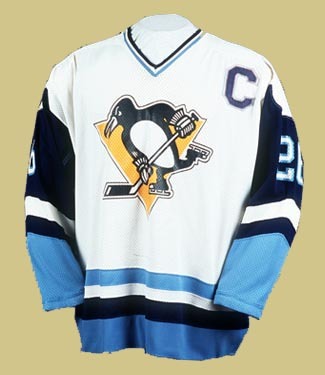 Many Penguins fans are familiar with the Winter Classic jerseys that use the original color scheme, but it seems no one remembers these uniforms at all. 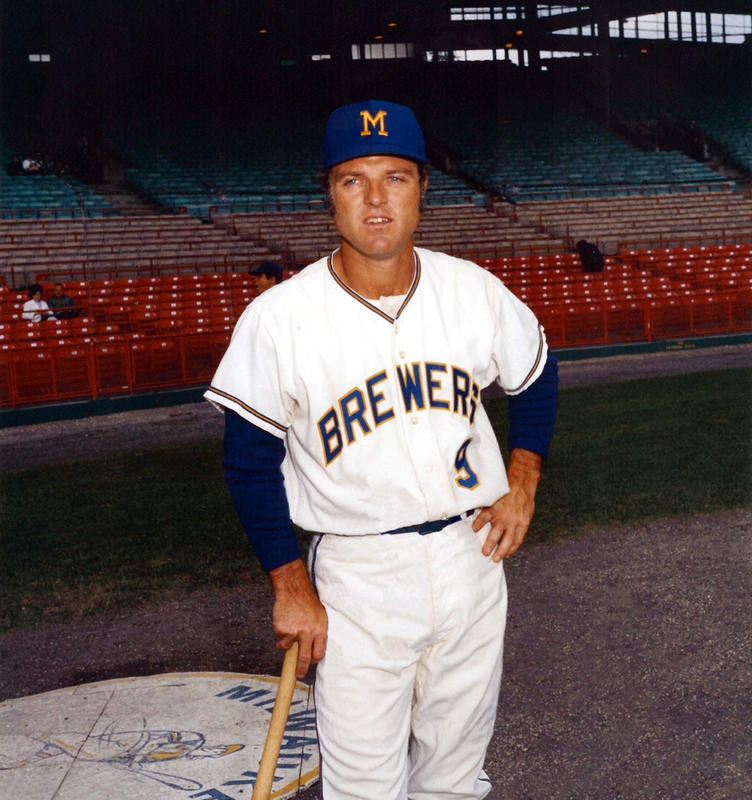 I don't understand the love for these Brewers uniforms. They're almost literally as generic as a uniform can get. Even the new Jacksonville Jaguars uniforms have more personality than these. It's possible to have a classic/traditional uniform without stripping away all interesting design elements. These are the uniforms the Penguins wore right before they switched to black and yellow. They follow the exact same template they wear now, except in double blue. They were only worn from 1977-1980. Many Penguins fans are familiar with the Winter Classic jerseys that use the original color scheme, but it seems no one remembers these uniforms at all. There's a reason they're not remembered - the terrible use of color. Multiple blues all over, but a black/yellow-only logo? Doesn't work. At least the WC jerseys used so much of the other colors that the mismatched crest seemed like a relatively-minor part of the uniform. And they were just cool.